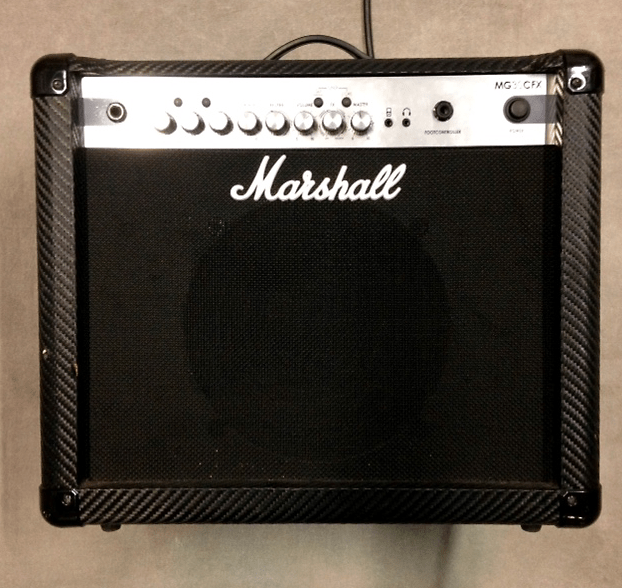 Marshall MG30CFX Review – Does It Beat The Stigma? If there is a difference, it’s not drastic nor something that is obvious. You will most likely see a different shade of the same thing, a subtle variance. This interesting character spans over to their solid state options as well. Everyone knows what Marshall is famous for, and how tubes are the only real way. However, no one can deny that these solid state options are cost effective and get the job done. This is a high-end, practice rig with potential for coffee-shop gigs. Most importantly, this tech has allowed thousands of new guitar players to enjoy this instrument without having to break their bank account. Marshall’s MG Series seems to be excelling in all of these traits. The lineup consists of a variety of combos and heads, offering a number of different power bands. The one I want to talk about today is the MG30CFX. 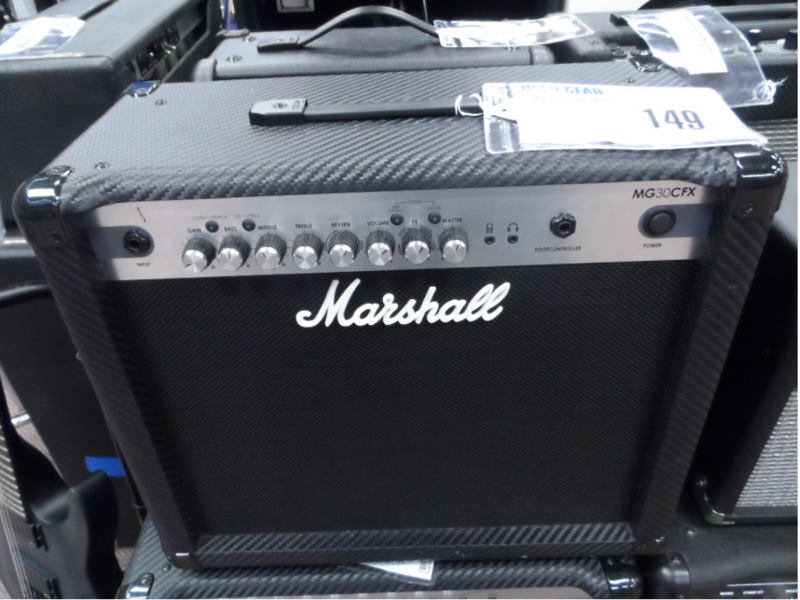 Is it just another cheap combo, or is there some substance behind that Marshall logo? Tube amps will always be the final frontier for any guitar player who takes himself seriously. There is simply no better solution available, and even if there was, people are too used to this old technology by now to switch. With that said, there are some pretty awesome solid state amps out there, but they will always be overlooked the black sheep of the family no matter how good they are. First and most logical one is the cost. With this technology, prices went way down while you still retained a good portion of the performance. On the other hand, these amplifiers also pack a lot more versatility, which is a life-saver for some. Do people perform on stage with them? Sure, every single day. However, most professionals still like their tone driven by valves. The MG30CFX brings all of the best qualities of solid state technology and then some. The versatility is there, but the tone ain’t bad either. Considering what this amp was designed for, it’s much better than expected. While Marshall makes much more refined solid states, MG30CFX comes as a great beginner compromise with a couple of twists. Would you use it for gigging? Well, maybe in a really small venue, but this thing feels more at home as a part of a practice rig than anything else. As its name states, MG30CFX packs exactly 30 Watts of power. The tone is pushed out through a single 10 Inch speaker mounted in the front, while all of the controls are found right above said speaker’s grille. All in all a standard Marshall configuration. There is one thing different which kind of removes the aesthetics we usually associate with Marshall. Instead of a gold metal plate, they’ve used a brushed metal one as a backdrop for all the control knobs. Marshall fan in me cried a little inside upon seeing that. The color of that plate is not the only interesting design solution for this combo. Cabinet itself is covered with what seems to be a type of carbon fiber textured layer. While it gives it a nice, modern look, this move does seem kind of forced. Anyways, let’s move on to the more important thing. How well is this combo amp put together? Knowing that it belongs to their affordable series should indicate what you should and should expect. For the most part, everything is solid as it can be. There’s no loose joints or anything else which could impact your ability to use the amp. In other words, it’s the quality that you are used to relying on. What this technology lacks in tone, it compensates for versatility. MG30CFX not only brings you four different channels to play around with but a pretty numerous and well-done effects section. The four channels I’ve mentioned include a clean channel, Crunch, OD 1 and OD 2. I’ve found that labels they’ve used are a bit misleading. crunch channel sounds like a pretty meaty overdrive more than anything, while those OD channels sound like pure distortion. Going left to right over the control panel, you will see the following – input, gain knob, three-band EQ, reverb, volume, FX, master volume, mp3 input and finally the headphones out. The upper row includes the clean/crunch select button, same deal for the OD-1 and OD-2, tap tempo button and the store button. Latter two are a part of the FX cluster. Speaking of effects, you will see modern cheap bangers such as this one, packing something like 20 different effects in there. That’s all cool, but usually, they are done poorly. Marshall decided to take a different route. They’ve given us chorus, phaser, flanger, delay and octave on the FX select knob, and a standalone reverb with two modes. 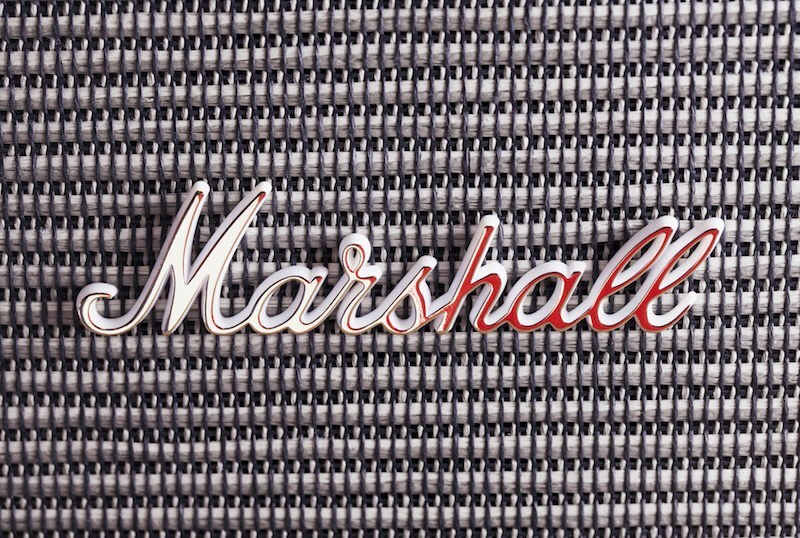 Instead of overwhelming the control section with a large number of buttons for each of these, Marshall put all of the mentioned effects aside from reverb on a single knob. As you go clockwise, you will select a different effect and its intensity will as you go. The quality of these effects is honestly pretty darn good. Octave on this amp is just impressive. I’ll go as far as to say that it’s better than what some pedals will give you. Crazy stuff. Tap tempo and store buttons are pretty self-explanatory. If you want to use an effect such as a delay, just press the button twice to give the amp a sense of tempo you’re after. If you press and hold the button, you will enter the store mode. Let’s say you’ve found a great setup for your OD-1 channel, just hold the tap button and once you’ve dialed in everything perfectly, hit the store button. Now your preset is saved. All these features are great, but the real question that everyone wants to know the answer to, is how good does this amp sound? Well, it depends on who you are and what you’re used to dealing with. If you’re expecting a nice tube-like tone from an affordable option like this one, you better keep walking. On the other hand, if you need a decent practice amp for home and studio use, MG30CFX might be something you’d be interested in. Here’s what I think. Its clean channel is insanely good. There’s a whole lot of definition, clarity and that nice, sweet punch in the upper end of the spectrum. Same goes for crunch. These two channels feel surprisingly organic and natural. When you cross over to the OD section, things get a bit more average. However, Marshall’s average is something I’ll take over many other brands any day of the week. OD-1 has that low gain vibe to it, which I’m not really a fan of, but OD-2 takes care of that problem. You can pretty much easily play metal with this amp. My favorite setting is to give it a good amount of gain, cut the bass down, punch the mids and trebles up. In other words, gain knob on 1 o’clock, bass on 9 o’clock, mids and treble on 3 o’clock. Even though this is a bit of an extreme setting, it gives you a good idea of what this thing is capable of. If we look at the I/O options on this amp, we will find three ports. You have your 1/4 Inch TRS input, a 1/8 inch input for your mp3 player and a 1/8 inch output for the headphones. This means that you can plug a guitar into the amp, push some music in the background as a backing track, and switch the output to the headphones for silent playing. Since there’s no XLR input on here, this is not a good choice for those who want to push vocals thru the amp as they play. Same goes for PA applications. It’s just not possible. Regarding what instruments you can use with this combo amp, it’s pretty much limited to electric guitars. I mean, sure, you could plug just about anything that uses a 1/4 inch TRS jack, but the tone will be pretty crappy. Acoustic electric guitars are probably as far as I would go, but even that is questionable. If I had to recommend the scope of applications MG30CFX is best used for, I’d say it’s practice. Either at home or a studio, this is first and foremost a practice amp. 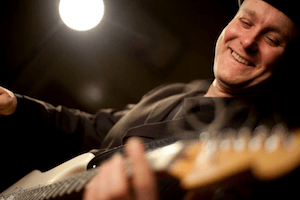 It’s gigging potential is a bit limited due to its low output, but you could make it work in a very small venue. If gigging is what you’re after, there are many other, much better amps out there. For the most part, Marshall MG30CFX offers a pretty great take on modern solid state amps. The price is more than reasonable, especially considering the quality of that clean channel. On top of all that, you get that standard Marshall tone that is so much better than the competition. If I needed a lightweight practice rig, I’d most likely give this bad boy a shot.